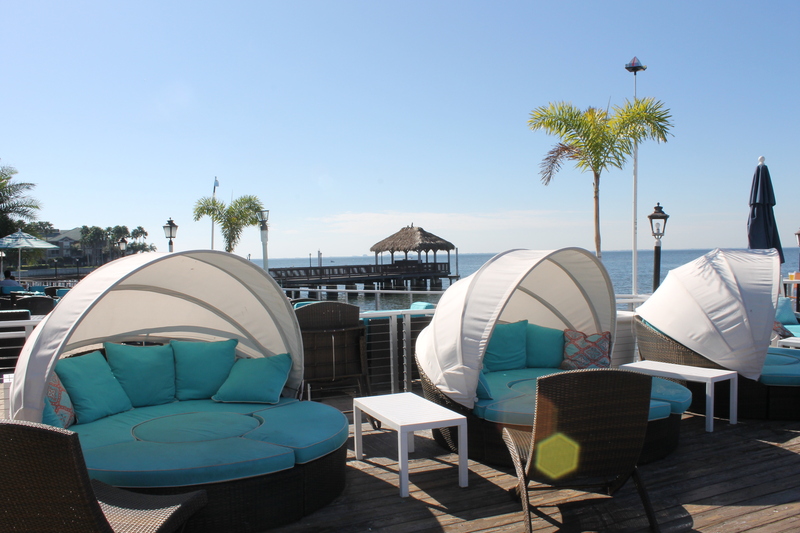 Tampa’s Bay Harbor Hotel has completed the first phase of a multimillion-dollar renovation to give the property a coastal-chic, full-service lifestyle resort atmosphere. Chicago-based Oxford Capital Group LLC, through its management affiliate Oxford Hotels & Resorts LLC, acquired the hotel for $34.5 million in October 2015 from Largo investor Ben Mallah. The price was more than double the $15.25 million he paid for it in April 2012. Oxford announced plans for a major renovation when it bought the property and hired the Miami office of global design firm The Gettys Group for the project. Included in the renovation plans was the transformation of Hogan’s Beachrestaurant. At the time, the group also dropped the Best Western flag from the property and the property remains independent. “We’re looking to redo the entire property,” the hotel’s general manager, Crystal Rivera, said in a phone interview. As of next month, the pier will be fully updated and the rest of the guest rooms will be renovated by the summer, she said. The restaurant has a new awning to reflect the tiki bar vibe. “There’s a lot more that’s coming in phase two and three,” Rivera said. However, the owners won’t share those details until April and May. The goal is to make the Bay Harbor Hotel “more of a laid-back vacation” property and attract more local visitors by making it family friendly, Rivera said. For example, kids eat free on Thursdays, and the hotel will host outdoor movies on the waterfront. With the completion of this first phase, 15 more guest rooms were added to the 261-room hotel and they now include hardwood floors, custom contemporary furnishings, frameless glass-enclosed, walk-in showers and backlit LED mirrors. The lobby was redesigned with Italian tile, coastal lounge furniture and nautical accents. It also has more space for lounging, business work stations and a gift shop. Beach Bar and Restaurant, Bay Harbor Hotel’s 20,000-square-foot indoor/outdoor waterside restaurant with three bars, replaced the bright red and yellow walls and furnishings in the former Hogan’s Beach restaurant.